It’s always a gamble, having EMC meets during the holiday season; especially when the weather is as rubbish as it has been and the weather abroad is a little more reliable/tempting. With two pulling out in advance of the meet (admittedly it really wasn’t climbing weather) it was a small group who turned up to the comfortable Raeburn’s Hut near Dalwhinnie, with room enough for an alpine bunk each. 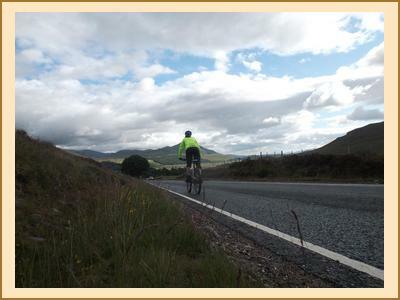 Saturday saw me cycle and Alison, Ken, Miriam, Alana and Eddie drive to Garva Bridge to walk up Geal Charn. We couldn’t resist a small celebration as the weather was actually pretty good at glen level, requiring sunglasses and everything. The summery weather ended part way up and fleece gloves were just not substantial enough to cut out the wind chill. The peak successfully bagged, Alana and Eddie opted to return via the outward route; the rest of us returned via the ridge and a convenient track left by the Beauly-Denny power line people. I got a drenching on my ride down to Laggan and we dried out the Bothy Coffee company’s supply of pumpkin cake. Meanwhile Kenny took his bike to Meall Chuaich and was unimpressed by the conditions, joining the rest of us in the coffee shop after first dibs of the shower. Five of us remained that evening, with Eddie and Alana continuing their travels to the north. The whisky went down well. 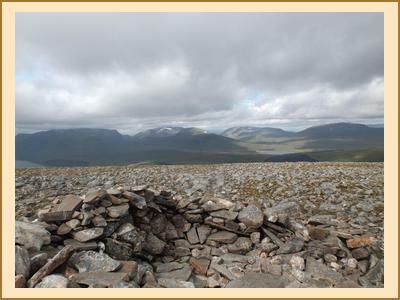 On Sunday we were out early after a spot of spring cleaning: Miriam, Ken and I continued our Geal Charn-bagging spree, tagging A’Mharconaich on as well, and were practically herded down off the hill by the shepherds. Alison and Kenny went to check their mobile phone reception at the mast near the hut, and the rain came back as threatened in the afternoon. Thanks all, and welcome to the club, Ken and Miriam. It’s not always this luxurious by the way!